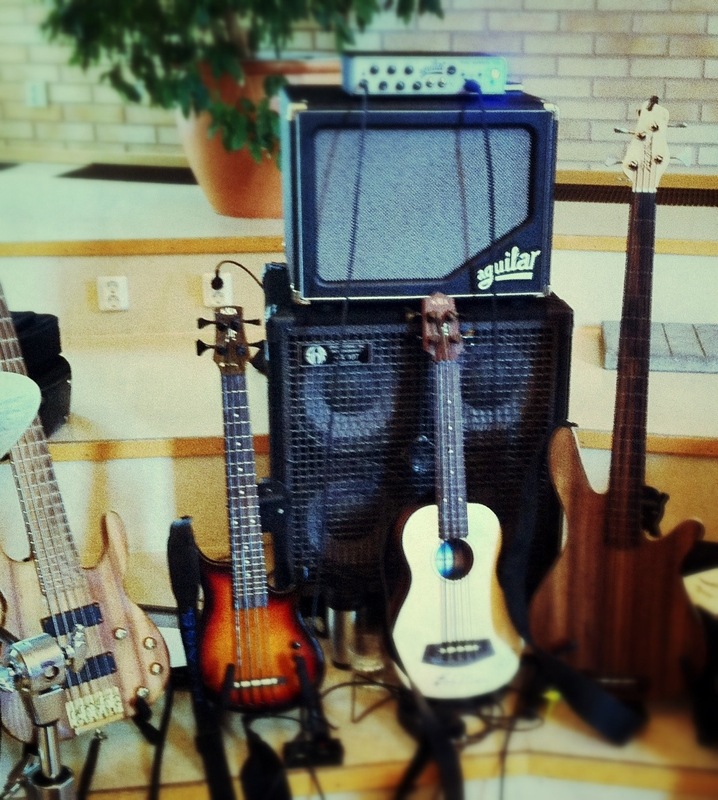 [Gig Report] Playing UBasses with a worship band – Play UBass! 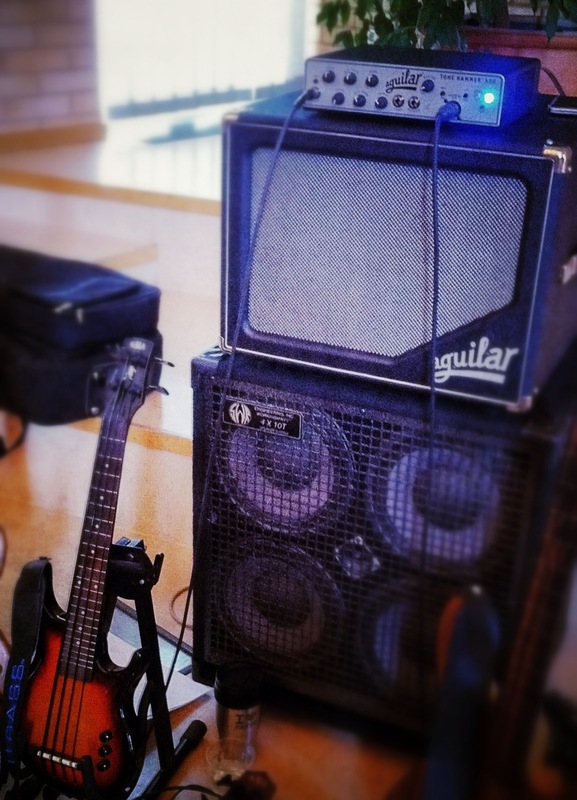 This past Sunday I played in a worship band at a local church. I have been playing a lot in churches throughout the years but nowadays it’s not that often. This was however not just your typically worship songs and hymns. There was different styles involved from soft ballad type songs (played on my acoustic Ubass and Rob Allen MB-2) to more blues/rock oriented songs in the style of Stevie Ray Vaughan played on the Kala SUB and a Ares 5-string). As you can see on the pictures I brought maybe one or two basses to many 😉 Why you might wonder? Well, I tend to like the option of getting different sounds and vary the color. Of cause you can get a lot of different tones out of one bass changing your playing technique. But I really like to have more options and for me that involves bringing different ‘brushes’ to paint with! And I got use for all the basses that day! I also wanted to try my (quite) new Aguilar rig in this format and in a big church room. Since we played through a big EV ‘foh’ (front-of-house) PA system I really didn’t get to play very loud as the sound guy wanted to keep down the stage volume. But we did rehearse earlier that week in the same room and my rig worked really well at a louder volume too! (I went direct into the amp – no effects of compressors except for the Fishman preamp when I played the acoustic UBass). 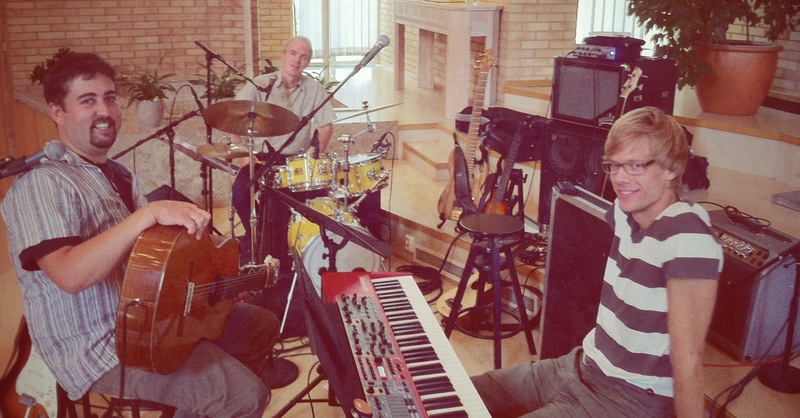 Playing with me in the band was my University professor Lasse Fhager on drums. (I have played with him now and then throughout the years (I graduated 1996) and will play another nice gig with him in a couple of weeks – stay tuned for a report…) He played his really hip – Yamaha Hipgig kit. It sounds awesome, especially in the hands of Lasse! (I also hope to record one or two tracks with him for my UBass CD!) The MD this time was Anders Wittler who sang and played guitars and on keyboard we had Daniel Israelsson. I think the band sounded really good. It was the first time the four of us played together. I hope we will play more in the future!